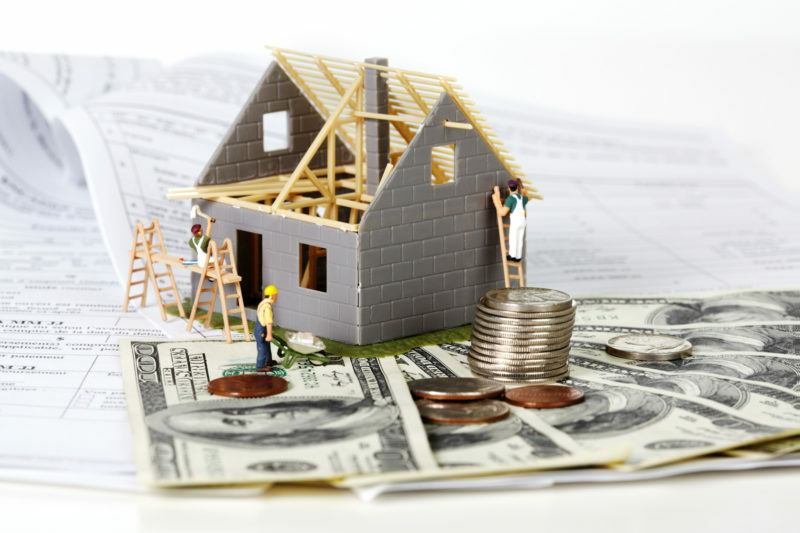 Americans are spending around $17,000 per year on housing which accounts for nearly 33% our household income as reported by The Bureau of Labor Statistics. Did we mention that doesn’t even include mortgage or rental payments! Don’t let the excessive costs of home repairs and decor sponge up all your hard earned cash. Try these 10 simple tricks to save money around the house. Reusable sponges, microfiber cloths and dusting rags are a much more affordable solution rather than using paper towels. Try making DIY cleaning solutions from simple household products rather spending money on store bought brands. Use only what you need. 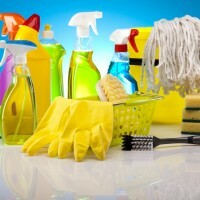 Concentrated cleaning products are the biggest cause of over use. They’re concentrated for a reason. Use as directed. Set house rules like “no shoes in the house” in order to increase the lifespan of your rugs and carpets and spare you from having to mop the floor every other day. 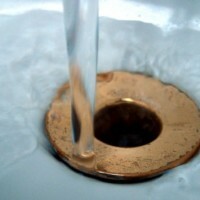 With water prices soaring these days be sure you keep a watchful eye on how much water your really using every day. Turn off the water while your brushing your teeth and only run your dish and cloths washers when you have full loads. If you can bear it… try taking shorter showers. You’ll be surprised at the amount you can save by stepping out a few mins earlier every morning. Also pay attention to whether your using the hot or cold water. Clothing will come out just as clean in cold water as opposed to hot. Using cold water only costs about 4 cents per load on average while washing with hot can costs nearly 60 cents. If you wanna save the big bucks you’ll have to spend a few dollars on home maintenance and prevention. If you play your cards right it could wind up saving you thousands in the end. Cleaning out the little vents under your refrigerator and emptying out your lint trap is a good start and changing out the filters in your furnace can save you on some costly repairs and/or replacements in the future. We recommend spending 1% of your homes market value towards general repairs and upkeep annually as a general rule of thumb. If your home is worth $200,000, then put aside $2,000 for preventative maintenance. 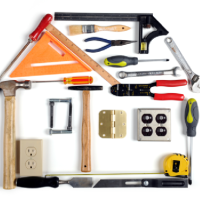 The more you can put off the need to make major home repairs the more your can save in the long run. Food waste is a world wide problem and a major drain on your budget. So much so that France even made it illegal for grocery stores to throw away edible food. 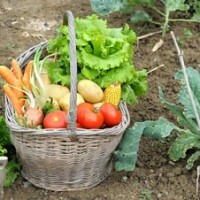 An estimated 24 percent of food produced for human consumption are never eaten. By being organized you can keep more of your food. 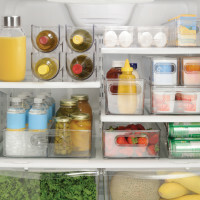 Order produce by freshness and organize the pantry by expiration date. 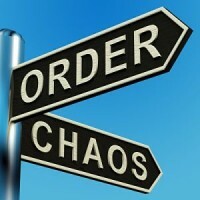 Keeping left overs front and center in the fridge will help you remember to reheat rather than starting something new. Also take your time when you go grocery shopping. Make sure the items that your purchasing are not due to expire any time soon. Does your AC really have to be on when its 73 degrees? Or is 60 really cold enough to start blasting the heat? By wearing an extra sweatshirt in the winter or switching from your air conditioner to a fan in the summer could be saving you hundreds. Try getting programable thermostats to make sure the temperature in your house adjusts when you are away or asleep. Enjoy saving up to 1% of your heating bill for each degree the thermostat drops. Bringing down the temperature of your water heater by just a degree or two can also really help with out making much of a felt impact. Also make sure you’re not loosing excess head by open drafts. Adding weatherstripping or insulation can help significantly. Ever had a problem in the house that you wish you could fix but didn’t know how? Well they’ve come up with a solution for that… It’s called YouTube! 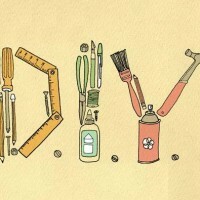 Most home repairs are easy once you’ve seen someone do it. Don’t spend another dime on expensive painters or hardwood repair men. For decor options, try installing your own wall sconces or make your own curtains. Get creative and turn an old set of CD’s into drink coasters. By putting fourth a little work on your own and spending your own time on the projects you want to complete you can save tons of money on labor intensive projects. We all know turning off your lights and other household appliances is not only the green thing to do but it can also keep your wallet green as well. However, you might not know that your electronics can be sucking you dry even when they’re not turned on. This trickling drainage on your electricity bill known as “phantom energy” costs Americans over $100 per year on average and if you’re nerds like we are with multiple devices and screens plugged in everywhere you could be saving even more! 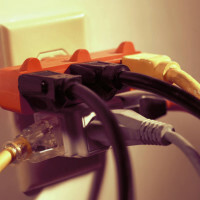 Unplug your appliances when not in use or plug them all into one power strip so it’s easier to turn off the whole room at once. If you have the ability to start your own home garden, fill your soil up with perennials that come back again annually instead of having to plant new every year. Try using the trimmings to fill a vase and make a centerpiece for the dining table. Growing a garden full of items like basil, mint and oregano can save you a bundle on herbs and spices. Next time your in your closet or storage area and pick out all the things you haven’t used in the past year. These items are just hanging around taking up space when they could be turned into cash. Using shelves and organizers can help you maintain a clean storage space. If it’s in good condition try your luck on ebay. Even if you just give it to charity you’ll still save both money and time maintaining and cleaning these cluttered areas. In addition your donations may be able to be used as tax deductions as a bonus. Using that old beat up refrigerator or washing machine may seem like a cheap option on the surface but riding those clunkers till they flop can wind up costing you in the end. 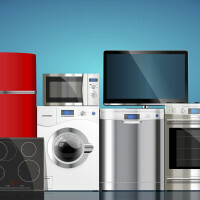 If your using appliances that aren’t energy efficient your utility bills can be through the roof and if your like the one-third of americans that has a refrigerator older than 10 years old were talking about you. This so costly that consumers have collectively over spent more than 4.7 billion dollars in wasted energy costs. By forking over a few extra bucks you can save up to $300 over the life span of your unit.